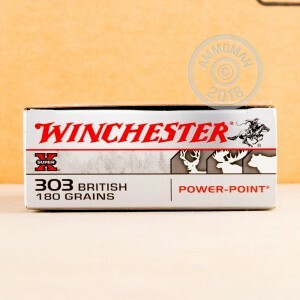 This .303 British ammunition from Winchester features the expanding "Power Point" bullet. Guaranteed to make a bigger impact than any slide show, the Power Point is a semi-jacketed soft point that expands to produce a lethal mushroom without fragmenting. It's a terminally effective (and cost-effective) deer round! 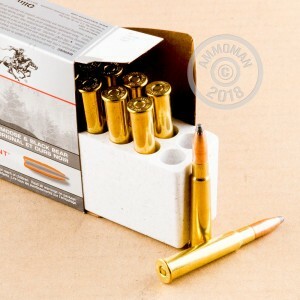 These cartridges are assembled at Winchester's new Oxford, Mississippi, facility, which opened in 2011. They use non-corrosive Boxer primers and brass cases.